The easiest way to serve cake and ice cream at a children's party -parfait style! 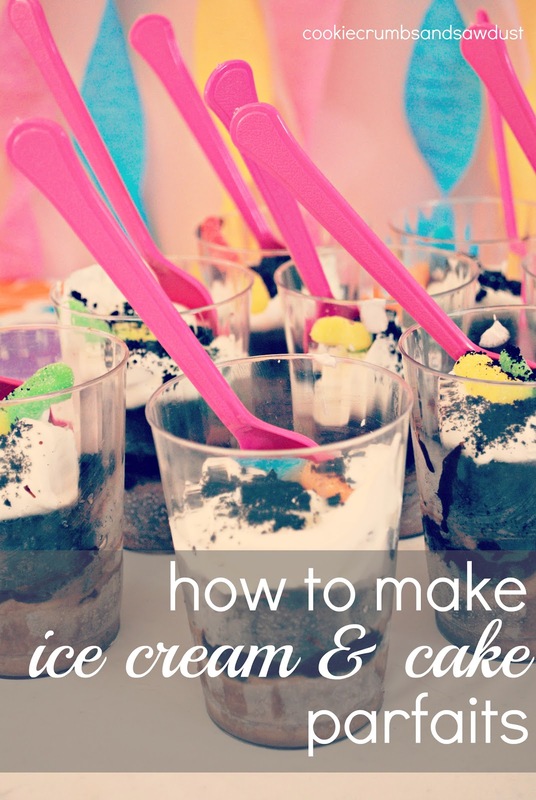 I made these ice cream and cake parfaits recently for my daughter's summer birthday party. I was running the party solo, so I knew I need to have everything done in advance. These were the perfect solution to serving cake and ice cream to a young crowd. Everything can be done ahead of time, just pull them out of the freezer and enjoy the party along with your guests. Prepare a cake of your choosing. Bake in a half sheet pan. After baking remove the cake from the pan and cool on a wire rack. Freeze the cake, until firm enough to cut. I baked mine in the morning and it was chilled enough by evening to cut out. Place a scoop of soften ice cream into cup. Top with a layer of fudge, cake, and whipped cream. Garnish according to your event. I sprinkled crumbed Oreos and placed a gummy worm on top to accompany our fishy theme. Don't forget use a cutter the same diameter as your serving glasses. Anyone else have an all-in-one dessert favorite? These are fun...and delish. thanks for sharing with the newbie party. What a great idea. Reminds me of the dirt cakes we used to make for class parties in Spring using pudding. Great idea! I've not thought to "pre-package" it before. Saves lots of time & mess. 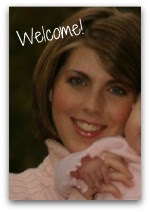 Loving your blog name...super cute & makes me want to vacuum! Yum! I love parfaits, they just look tasty in the glass. Thanks so much for sharing on Tout It Tuesday! Hope to see you tomorrow. These look great! Thanks for linkin up last week! Hope to see you again this week! Great idea! I'll definitely try this for my boy's next party.